 HK/HKC – Miter saw precision, in the size of a sidewinder. Located at our Hardware Store. We sell 20lb, 30lb, 40lb and 100lb propane tanks. We have many Doors & Windows at Reduced Pricing! Please Inquire at our Lumber Yard. Trex Offers Deck Design Tools! Get a FREE Roll of Zip Tape! P.J. Currier Lumber provides professional installations of kitchen and bathroom cabinetry, countertops, and much more. We are a full remodeling resource for both homeowners and small commercial property owners, and we are confident that you will be very pleased not only with our experienced staff and quality workmanship, but also our attention to both your budget and your timeline. The region’s most complete custom millwork facility gives you access to moldings, cuttings and custom pieces for any new construction, remodeling or restoration project. You’ll Find It at the Hardware Store! We stock a large selection of quality tools, paints, electrical, plumbing items and much more! 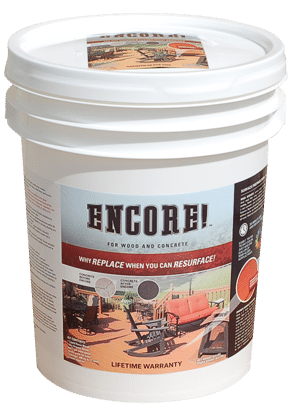 Encore is a durable composite coating that resurfaces old wood deck and concrete surfaces, it even fills hairline cracks. Encore dries to a form a skid-resistant, yet elegant finish. Any color imaginable! Match the color of your home or furniture with Encore’s Infini-Color Technology. Low noise, low AMP draw, high output. 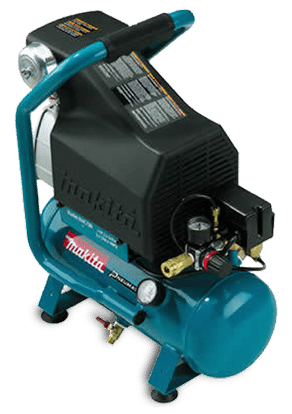 Cast iron pump with Big Bore cylinder and piston is engineered to provide faster recovery time for improved performance. Powerful 2.0 HP 4-Pole motor produces 3.3 CFM at 90 PSI for increased productivity. Cast and Machined Nose Piece for Precise Contact. Drives a range of 18 gauge brad nails, from 5/8″ to 2″, into hard or soft wood; magazine capacity is up to 100 nails. Quick release cam-lock opens nail guide assembly to clear jammed nails. Non-marring rubber nose and bumpers protect the wood’s surface. 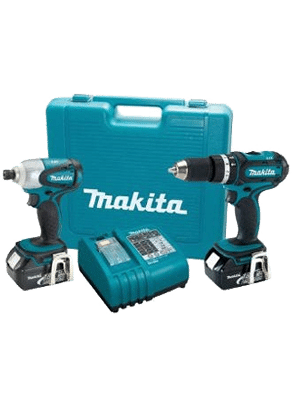 18V LXT Lithium-Ion Cordless 2-Pc. Kit. 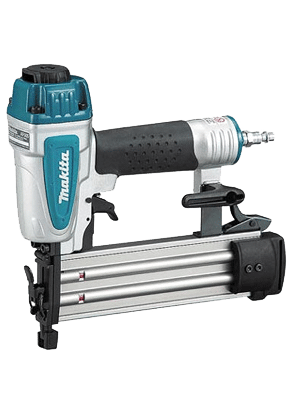 Variable 2-speed 1/2″ Hammer Driver-Drill with Makita-built 4-pole motor delivers 480 in.lbs. of Max Torque. Variable speed Impact Driverprovides 1,420 in.lbs. of Max Torque. LXT Lithium-Ion battery and optimum charging system. 10 in. 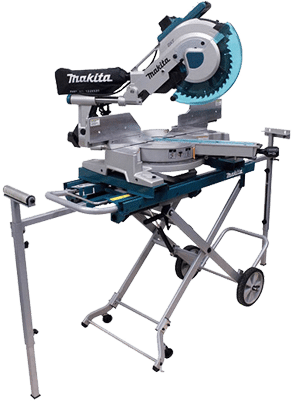 slide miter saw with the crown molding cutting capacity of a 12 in. miter saw. Exclusive 6 linear ball bearings engineered to deliver “dead-on” accurate cuts. Innovative direct drive gearbox and guard system is engineered for increased vertical cutting capacity. Comes with laser and stand.